Wondering what course of path to take after A/Ls or looking to add into your professional qualifications? PACE Institute, an organization for professional, academic and cognitive excellence is taking part at the EDEX Mid-Year Expo 2016 with the view to provide solid solutions to your career and higher education related questions. As the certified study center for a number of international professional qualifications and certification including Red Hat, Digital Marketing Institute and International Computer Driving License (ICDL), PACE can offer a wealth of guidance and direction to students who are wrapping up their school education and entering the world of higher education, career and professional development. 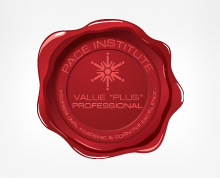 In addition to international certifications, PACE also offers a series of in house designed courses on web development, computerized accounting and IT combined with soft skills aimed at school leavers, professionals and job seekers. Moreover our ambition in guiding the youth of today into becoming value plus professionals of tomorrow, who are well armed with educational qualifications, career competencies and soft skills, has led us to develop a unique course style, which include a balanced mixture of study material as well as soft skills training. At EDEX, our well skilled trainers and counsellors at Stall No 112 will be offering students and professionals with customized study options that could provide them with a unique combination of knowledge and career competencies. What’s more if you are a members of Facebook groups ‘Colombo Web Geeks’ and ‘Colombo Digital Marketers’, you may receive some surprise offers at our stall. So keep the dates free on September 3rd and 4th and be sure to meet us at Stall No 12 at EDEX Mid-Year EXPO 2016 to be held at Sri Lanka Exhibition and Convention Center.